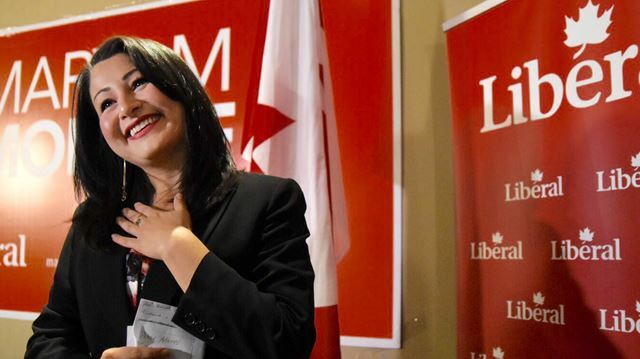 The Trudeau Liberals have spun themselves into a corner when it comes to Maryam Monsef. It now looks as if Prime Minister Justin Trudeau is willing to change Canada’s citizenship and immigration laws to protect one of his own. Monsef says her mother recently told her she was born in Iran, not Afghanistan, as she had previously been told. If her immigration application, when she was a child, included false information about her birthplace, then it is possible her immigration application was fraudulent. The penalty for providing false representation to immigration officials is steep. In similar cases where a parent provided untrue information on behalf of a child, it has led to the stripping of citizenship and even deportation from Canada. As I pointed out in my last column, the Trudeau government recently stripped citizenship from an Egyptian national who became a Canadian citizen at age eight. In that case, the woman’s parents lied on her application, and therefore, as per Canadian law, she risks being deported. But when it comes to their own star cabinet minister, Monsef, the Trudeau Liberals are scrambling to deal with the controversy. On Tuesday, Immigration Minister John McCallum testified in front of a Senate committee discussing Bill C-6, the Trudeau government’s controversial citizenship bill. Under pressure from Liberals in the Senate, McCallum suggested that his government would consider placing a moratorium on the practice of citizenship revocation. The Trudeau government had no problem imposing this law during its first eleven months in office. None at all. During the last session of Parliament, Trudeau and McCallum introduced comprehensive changes to Canada’s citizenship and immigration laws through Bill C-6.